As environmental concerns and the popularity of eco-friendly practices like green meetings continue to increase, it’s important for meeting and event planners to continually expand their own knowledge of sustainability, particularly as it relates to the venues, vendors, and the work of other event services professionals. One such topic is that of eco-friendly or "green" hotel initiatives. Many hotels, from the more budget-friendly to the more luxurious, are taking steps to make their practices and business more sustainable. Understanding these green hotel initiatives can offer ​event planners more to consider when selecting hotels for their client's programs, whether as a venue for the event itself or as the choice for overnight accommodations for out-of-town guests. Vail Resorts which includes RockResorts, for instance, has undertaken a grand commitment to decrease its environmental footprint and increase the sustainability of the services they offer. Just a few years ago, RockResorts, along with its director of environmental affairs decided upon 10 initiatives to adopt within Vail Resorts’ hotels and properties as their sustainable practices starting point. These 10 initiatives have since become the norm for hotels looking to offer more sustainable services. 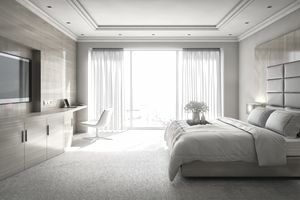 From central operations such as boilers to lighting systems, kitchen equipment, and automated energy management systems, hotels globally are working to reduce energy use while sustaining—and whenever possible enhancing—the guest experience. Within guest rooms, laundries, kitchens, pools, and spas, hotels continue to implement efficiencies that reduce water and, in many cases, chemicals that are used to treat water systems and clean facilities. Efforts include the linen and towel reuse programs that are now an industry standard to the installation of low-flow faucets, showerheads, and other fixtures. With the limited exception for domestic hotels, recycling programs for the basics such as newspapers and beverage containers are becoming a basic expectation. In combination with the recycling efforts, hotels are looking for opportunities to reduce the use of paper and other disposables. Hotels and resorts that can go beyond to implement food waste composting programs can demonstrate waste diverted from the landfill upwards of 40–50%. Many hotels are making a statement by offering guests custom formulated amenities. Resort companies such as RockResorts have taken it one step further with an all-natural, essential oil-based custom formulated product made without preservatives and artificial ingredients that are packaged in recyclable containers. Other midrange hotel brands are experimenting with bulk dispenser presentations. Contemporary plastic key cards are made from PVC (polyvinyl chloride) based plastic which is part of a highly toxic manufacturing process. Many hotel companies are shifting to card options made from paper, wood, and bioplastic that are better for the environment but equally as durable. Recognizing the importance of safer products for guests and employees as well as the natural environment, many hotels have shifted to cleaning products that are made with bio-based oils and other natural cleaners. By making the switch, they are reducing the use of products with chlorine bleach and petrochemical derivatives. These more natural products have demonstrated performance and are less irritating to guests, employees, and the environment. Integrating local products and using fresh, seasonal produce and other ingredients are emerging as a significant focus of hotel food and beverage programs. A shift to more sustainable and healthier cuisine offers travelers unique opportunities to experience a greater connection to the locations they are visiting in a more sustainable way. Hotels and resorts are integrating more and more selections in menus of all types that integrate organic produce, hormone-free meats and dairy, and other natural products that offer guests healthier food selections. A growing trend with all types of spas is the integration of treatments that feature local and indigenous ingredients as well as natural and organic products. Similarly, unique brand and resort signature treatments are emerging to truly offer guests a special connection to the destination. From property-wide initiatives to guest rooms, food and beverage, or spas, event planners should be asking their hotels about what specific efforts are being made to be more sustainable to make more informed choices.